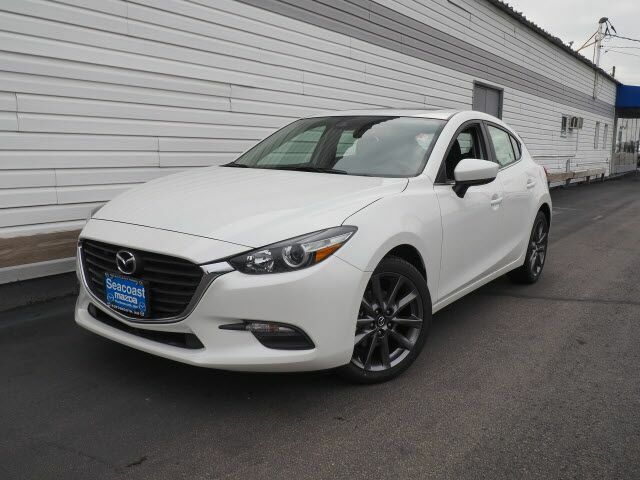 Armed with a push button start, backup camera, blind spot sensors, Bluetooth, braking assist, dual climate control, hill start assist, stability control, traction control, and premium sound system, you won't be able to get enough of this 2018 Mazda Mazda3 Touring. This one's a deal at $24,485. Be sure of your safety with a crash test rating of 5 out of 5 stars. With a sleek white exterior and a black interior, this vehicle is a top pick. Interested? Call today and schedule a test drive! Contact Information: Seacoast Mazda, 180 Spaulding Turnpike, Portsmouth, NH, 03801-3139, Phone: (603) 436-6811, E-mail: sales@seacoastmazda.com.